I love lifting free-weights. I include them in practically every single workout, but sometimes I find myself needing a break from them – if anything, to help keep things a little varied, and give my muscle tendons a day off. If you’re like me and you love to include some heavy barbell rows, or a T-bar row, or several sets of dumbbell rows within your back routine, you’ve no doubt felt at times that your joints can feel a little beat up, and other areas of you are sore that may limit their optimal performance during workouts following such a workout. Well if you have, you’re not alone. Lifting heavy free-weights requires a lot of stabilizer muscles and secondary prime muscles to come into play, and even with the best technique used, it can still take its toll on your joints and ligaments, especially your elbows, wrists, and sometimes shoulders. Think of this routine below as your service stop, where you can take yourself off the usual heavy-hitting path of free-weight training, and commit to only machines and cables for a workout. But don’t be fooled into thinking this will be easy. You can see from the program below that there’s only two types of movements included: a pulldown, and a rowing motion. 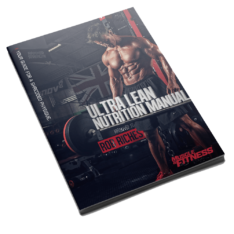 There are of course numerous other non free-weight based exercises, and a seemingly limitless way of performing them, but if I included all of these you’d be overwhelmed. Lets start simple, and build from there. Ideally within your gym, you should be able to find both a cable-type lat pulldown, and a machine lat pulldown. If not, no problem – a pull up can take the place of one of them, and even though this is a no free-weight routine, if you’re able to perform the desired rep range with ease, add some additional resistance by attaching a plate to a chained-dip/pull-up belt, or a dumbbell hooked between your legs with your feet crossed. The same goes for a machine row and cable row, in which an inverted row could take the place of one of them (fix a barbell or smith machine bar at waist height, and place a bench horizontally approximately the height from your feet to your shoulders away from the bench. With your heels on the bench, and and overhand grip on the bar – lying under it, you can row your self up towards the bar as use the majority of the same muscles involved in a machine or cable-type row). You’ve probably noticed when performing an exercise on a machine, that it’s usually through a fixed range of motion. You can only perform it through the guided path set by the machine. This can be a good thing, simply because you only need to focus on pulling and lowering the weight, and not be concerned about stabilizing or supporting the movement. This means your full attention should be on focused on contacting the muscles hard at the end of each and every rep.
You may think it’s an easier movement (a seated machine row compared to a bent barbell row), but it doesn’t need to be, and I’m not just referring to how much weight you can lift. The emphasis on muscular contractions – really squeezing every muscle fiber in your back, can be more easily achieved when using machines and cables. You can’t afford to allow yourself (your mind) to drift off when performing these exercises. You need to be very present in the moment and consciously aware of each and every rep.
Now that we’ve established that machines and cables often take you through more of a fixed range of motion, you can make make use of tempo-training as a prominent shocking principle within your armory of training methods. Simply put, next time you perform these or any other machine or cable-based movements, try to control the descent of the weight at a tempo that 2-3 times slower than your usual pace. You can still pull the weight at the same tempo, and even pause and hold at the peak contraction for a split second, but upon lowering the weight – take your time, which will really work the muscles in a way that they’ve probably not been used to during many of the free-weight movements.